Summer is here and there’s nothing better than spending time in the sunshine of your own backyard. To get your patio ready for a summer of BBQ’s and outdoor fun consider replacing that boring old concrete with natural stone. For a chic and natural look, nothing beats natural stone for your patio. 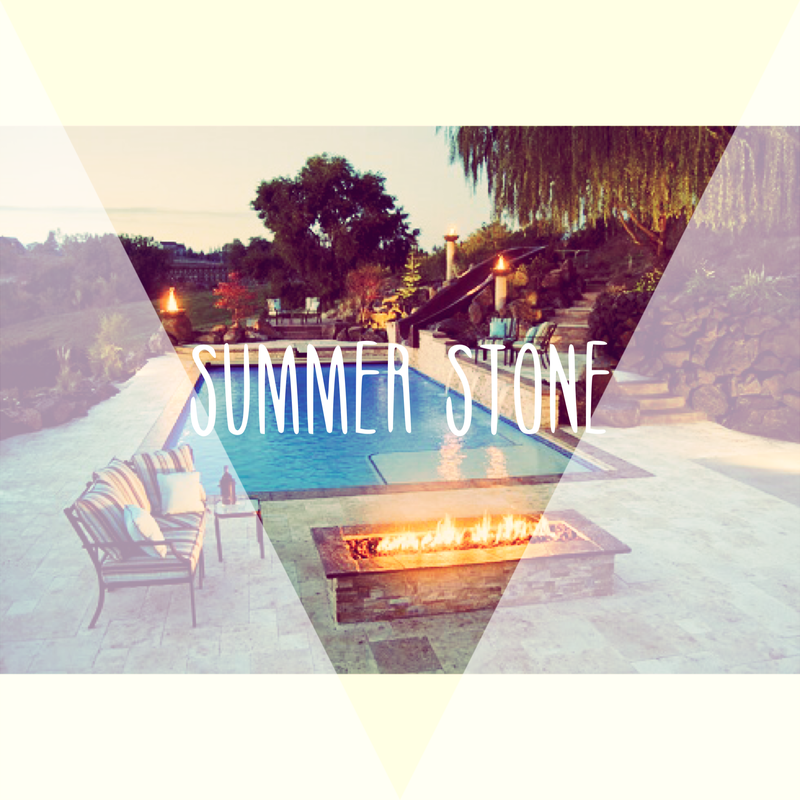 Travertine is one of the more popular materials chosen for an outdoor patio space. This material’s reputation for being hard-wearing yet beautiful has been known since ancient times. Today, the material is in as much demand as ever, especially with pool builders who have come to depend on this material’s porous nature and tendency to remain cool to the touch.Because travertine typically absorbs water instantly, decks made of it are virtually slip-free which is great for the splashes of summer fun. Limestone is pretty standard when it comes to natural stone. Limestone is hardy and can retain its beauty for years, no matter the weather. Limestone can tolerate extreme weather changes and hold up against continuous use, and can be cut in a variety of shapes and sizes, making it a stress-free choice for many home owners. Summer’s already here so what are you waiting for? All you have to do is reach out and give us a call so we can help you get started on your new summertime patio!